Turn every day into a festive season with the remarkable opportunities Jack Frost brings to the reels. The slot game has a Holiday theme with a piece of background music that would keep the rhythms of festivity going down your spine. The 5 reels Rival gaming slot game comes with the unique feeling of Holiday periods which always comes packed with lots of love and gifts from family members just that this time, it’s not from loved ones or father Christmas but from Jack Frost himself. Jack Frost Slot game has a lot of symbols and characters available in the reels with each having a special function. 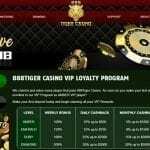 You can also expect to see the usual wild and scatter symbols that have the potential of boosting winnings. Some of the symbols available in the game are Skates, Gifts, Winter Hats, Frozen wild etc. Funds available for gaming at the platform is represented in coins with the minimum being 0.01 while the maximum can be adjusted easily depending on the amount the player wishes to stake with. 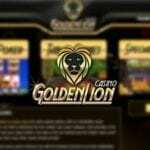 You would find a lot of symbols that would boost your win to a reasonable extent in the 25 pay line slot game. The highest paying symbol available is the Jack and Harold symbol which can offer a jackpot of 500x your stakes if five of its symbols appears on the reels. Wild Symbols: the wild feature which is represented by a frozen wild has the ability to substitute every other game available on the wheel triggering a huge winning potential. If lucky enough to trigger the wild during free spins you would get sticky wild symbols which would trigger a better pay-out. Bonus Black symbol: to trigger this bonus round, you would need to make three or more Jack symbol appear on the wheels. Triggering this bonus round would give you the opportunity of melting numerous ice block to claim the bonus attached to each of them. Harold symbol: the appearance of three or more Harold symbol would trigger a transformation from summer to winter so you can enjoy all the goodies attached to the festive seasons as soon as possible. It also acts as the scatter symbol. The Harold symbol cannot be substituted by the wild symbol. The Jack Frost Slot game is a Rival gaming creation and offers an RTP of 94.26. Although the RTP is not that high but the bonus offered, good piece of background music and the high-quality themes used would keep a lot of players glued to the slot game. 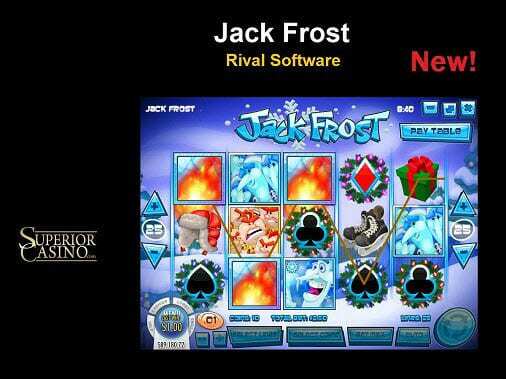 Play on Jack Frost Slot Now !